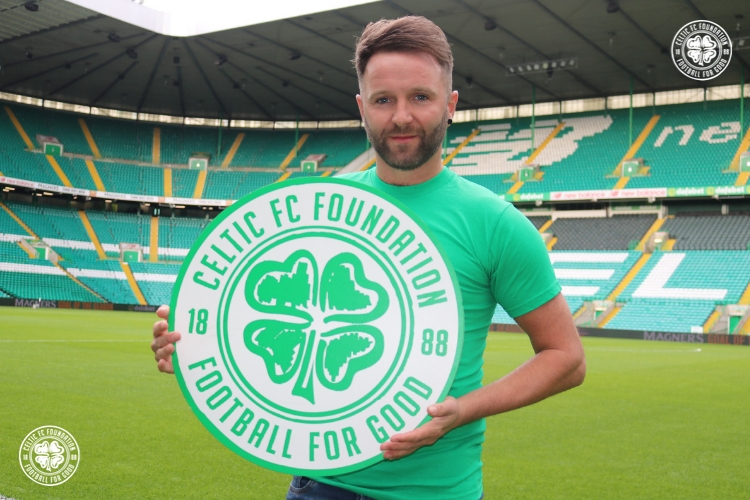 THIS Saturday, April 13, a group of 88 Celtic supporters will walk a combined total of 1,967 laps of Paradise, in support of Celtic FC Foundation. Taking on the challenge are 67 members of the Drumchapel No.1 CSC, joined by members from three other CSCs - Govan Emerald, Temple Tims and Tony Mowbray. Each participant will complete a minimum of 22 laps of the Celtic Park pitch. Funds raised through their efforts will be devoted to Celtic FC Foundation's projects supporting those with dementia and their families and carers, allowing us to maintain, develop and enhance our current provision. Due the phenomenal support received through 2017’s #LionsLegacy fundraising campaign, we now deliver dementia care projects in Glasgow and Edinburgh – in partnership with Alzheimer Scotland and The Eric Liddell Centre respectively - which aim to trigger positive impacts on health and wellbeing for participants, as well as encourage improved social interaction and behavioural stability. Drumchapel No.1 CSC member, Tony Crawford, spoke ahead of the challenge. He said: “We had been trying to think of an idea for a fundraising event and we really wanted the 1967 theme to be at the heart of it. “The members of the CSC were very eager from the outset to get involved, so I knew we had the numbers to do something that would involve 1967. I proposed the idea of walking round the pitch to raise funds for Celtic FC Foundation’s dementia care projects and the rest of the members instantly got on board. “We have built up a great relationship over the years with members from some other CSCs and they were all keen to get involved, so our numbers increased to 88. “It was really important to us that the funds raised were going to support the Foundation’s dementia care projects, as we wanted to do something meaningful to help people with the condition. Personally, dementia has had a recent effect on my family and I know that a few of our members have also been going through a similar time. “The fact that it has also affected some of our most treasured former players added to our desire to support this cause. Being able to support Celtic FC Foundation and the work that they do takes us full circle as to why Celtic Football Club was founded in the first place, to help others who need it. “I think there is an initial feeling that, if your efforts can make a positive difference to even one person, then it’s absolutely worth it. However, I’ve seen through Celtic FC Foundation’s dementia care projects that this goes beyond that. The support provided not only to those with the condition, but also to their families is extremely admirable. Families facing difficult circumstances can often be overlooked. For further information on Celtic FC Foundation’s dementia care projects, please contact cfcfoundation@celticfc.co.uk or call 0141 551 4321.